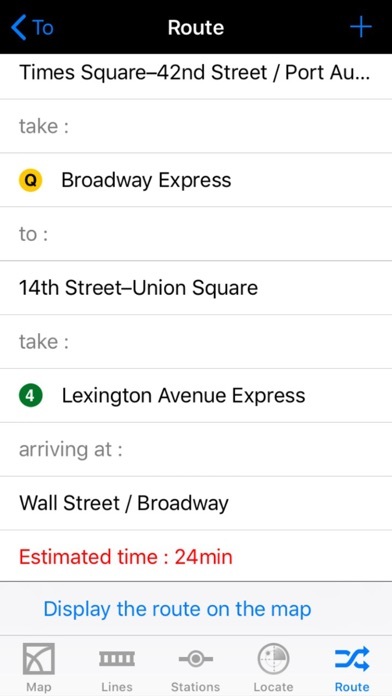 Download New York City Subway application for FREE for the next 24 hours ONLY. New York City Subway is the original and No. 1 selling application for getting around New York City. 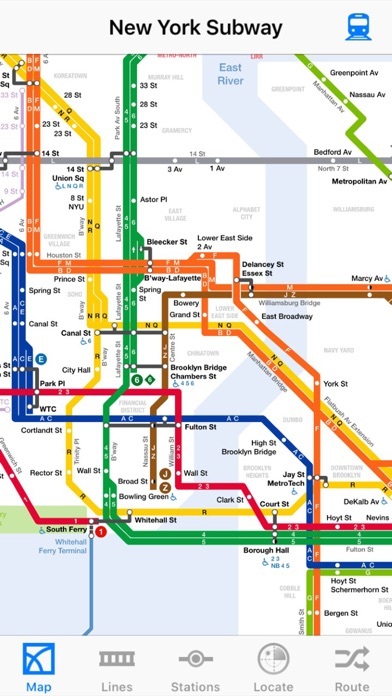 - "New York City Subway application helps users navigate the complexities of the city's subway network" - The Epoch Times. 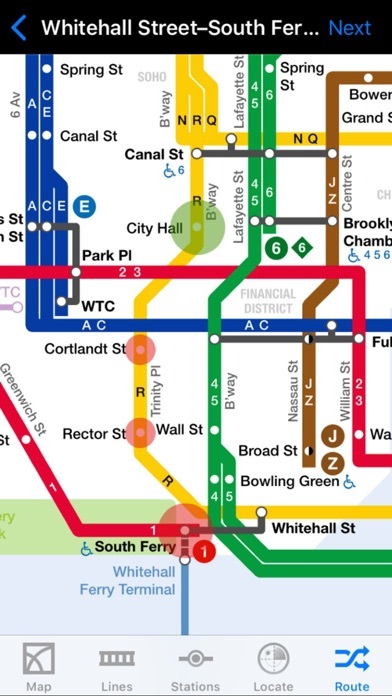 - New York City Subway app is recommended by the Financial Times and the Los Angeles Times. New York City Subway for iPhone and iPod Touch is a comprehensive guide to traveling through New York City (NYC). ● You can add new Point of Interest (POI) databases to New York City Subway application through an in-app purchase. These options allow you to activate Fast Food POI, Restaurants POI, Coffee, Pastry & Ice Cream POI, Leisure POI and Accommodation POI in NYC. You will be able to locate all nearby POI on Apple Maps. New York City Subway Your New Eye. This is a unique augmented reality functionality that enables you to see the nearest stations and POI with iPhone's camera live view. Elements located at a distance less than 1km (0,621miles) only will be displayed.